A.J. Higgins reports on opiate addiction. More than 50 supporters of a petition to add opioid addiction to the list of approved conditions that are treatable with medical marijuana packed a small hearing room Tuesday in Augusta. Many say medical marijuana was critical in helping them recover from opioid addiction. But some health professionals say there is only anecdotal evidence of marijuana’s benefits for this purpose. Most Mainers are probably pretty well acquainted with popular painkillers such as Oxycontin, Vicodin and Percocet that have been widely prescribed in Maine. And perhaps overly so, according to Dawson Julia, a medical marijuana caregiver from South China who says the effects of the painkillers are seductive and deceiving. Julia and dozens of other Mainers signed a petition requesting the state Department of Health and Human Services consider adding opioid addiction to the list of conditions that can be legally treated with medical marijuana, a drug that proponents say provides greater benefits to those struggling with pain, depression and other disorders than traditional painkillers. While the opioids may solve some problems, former addicts say their continued use is a problem all by itself. Lori Libbey is registered nurse from Lincoln who suffers from rheumatoid arthritis. After coping with an opioid prescription for four months, she says she unexpectedly found herself experiencing the brutal effects of withdrawal. “It just so happens that the scripts ran out, one on the Fourth of July and another on a long weekend and I would like to say that it is the most horrendous thing that I have been through in my life — I literally thought I was going to die,” Libbey says. Her experience didn’t have to happen that way, says Dr. Dustin Sulak, the founder and director of Integr8 Health, which treats more than 18,000 Maine patients with medicinal marijuana at two clinics. Sulak told a DHHS hearing board reviewing the petitioners’ request that there is medical evidence supporting the use of medical cannabis to treat opioid dependency. “No other state in the country has done this, we would be the first — and it could be harmful,” says Gordon Smith of the Maine Medical Association. 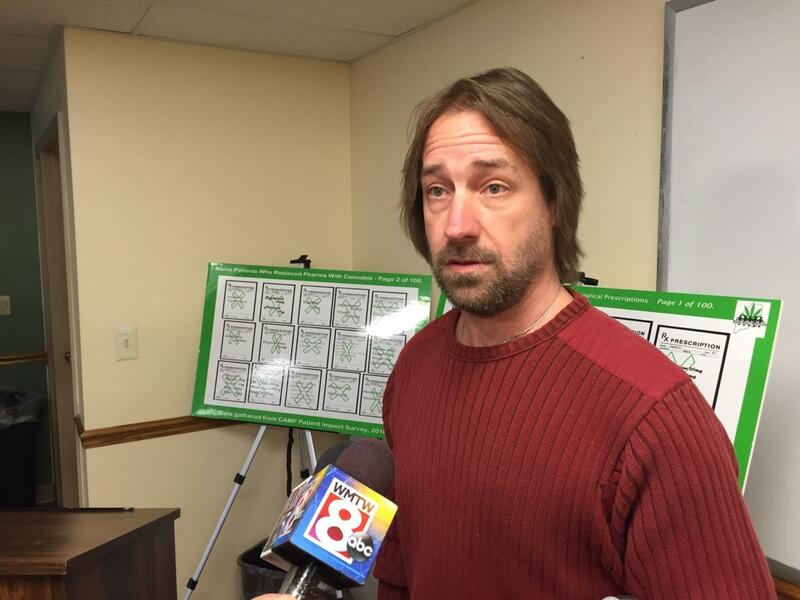 There are doctors such as Sulak who extol the benefits of using medical cannabis to treat opioid addicts, but the Maine Medical Association is arguing against adding yet another condition that could be treated with marijuana. Smith says that list of approved conditions is based on the premise that such applications would do no harm. The MMA’s position was supported by Dr. Leah Bauer, a Brunswick psychiatrist representing the Maine Association of Psychiatric Physicians. Bauer said there is no evidence that supports the assertion that marijuana assists in opioid withdrawal. In fact, Bauer says, the opposite could be true. “Granting this petition would simply encourage another intoxicating substance in the lives of those trying to overcome the ravages of addiction and in fact, marijuana may be pouring gasoline on the fire,” Bauer says. DHHS officials will accept written comment on the petition through May 3. Department Commissioner Mary Mayhew then will have up to 180 days to act on the petitioners’ request.